Yeah, we’ve been quite busy at MoneyCoach. On one hand, bug fixing and crafting new features for MoneyCoach while on the other developing other applications expanding the MoneyCoach ecosystem. The latest app is our Bitcoin Tracker by MoneyCoach. Nothing too special or mindblowing, yet, our Bitcoin Tracker displays in real-time the current Bitcoin price and gives you a clear history of the closing price for the last two weeks. Simple in features and minimalist on looks, we believe this may be a powerful tool if you are into Bitcoin. But as always, more is always coming. We’re QA testing the tvOS version at the moment which is going to be released quite soon, but we are not stopping there. Cooler looking backgrounds, interactive graphs, data exporting and so much more is coming to the iOS app. 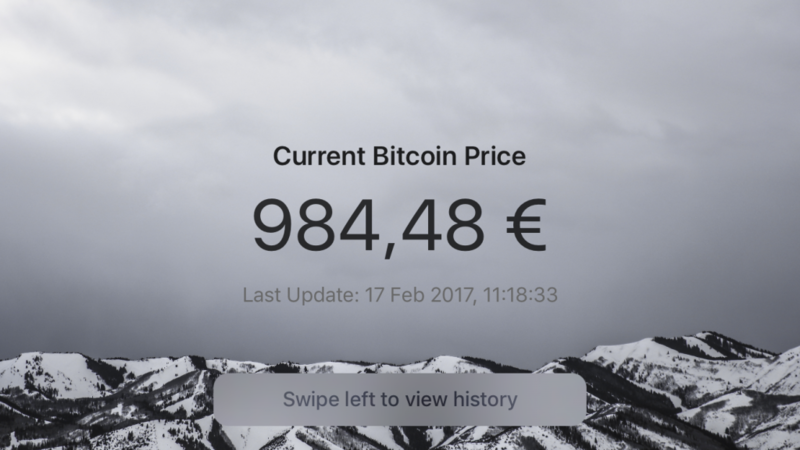 Oh, I almost forgot to mention that we also have an Apple Watch companion app so you can track the Bitcoin price at any time without breaking a sweat. We are available on iPhone, iPod, iPad and Apple Watch so give it a download now by clicking here and tell us what you like, don’t like and what you want to see added to this app.